I felt compelled to write a blog post about my experience as a community college student due to all of the stereotypes these students face. I understand that situations differ from person to person so the following is simply my opinion. I hope to help someone who has gone through a similar situation or to just share my side of the story. As a past community college student, I know first-hand the stigmas these students face.As a high school senior, I was asked “Where are you going to college?” and “What are you doing after you graduate?” more times than I could dare count. When I announced that I would be attending Tarrant County College I received little to no positive remarks. The truth is that I lied over and over again to make my situation seem socially acceptable. I would list a few state schools and say I had not decided on one yet. In the beginning, I made the mistake of answering truthfully with the local community college I planned on attending and I received nothing but criticism. Adults would sympathize for me and whisper “oh no, how come?”. Phrases like “you know that’s where slackers go to school, right?”, “why are YOU going to community college?”, and “don’t get comfortable” were the norm. This is not to say that senior year was an awful experience for me (because it wasn’t) but anything that involved college was nauseating for me. Everyone from counselors to underclassmen felt the need to share their disapproval with me. In fact, I have been tempted to go back and share what a great experience I had at TCC. Instead, I can write this blog post for the world to see and hopefully help someone who has struggled with a similar situation. Community college was nothing like I expected it to be. Everyone had made it seem like some sort of jail for students who were destined to failure, which absolutely isn’t the case. In my first semester, I became Vice President of Student Government Association and greatly recommend it for students that want to get involved. My sophomore year I was elected President of SGA and even though it was a challenging experience, I wouldn’t trade it for anything. I made great friends and got involved in a variety of clubs on campus. It can be hard to make friends with students at community college because everyone is so busy juggling jobs, classes and sometimes even families. I am thankful for these organizations because these are people that I would never have become friends with otherwise, but have changed my life for the good. It can be easy to get stuck in a bubble, but being around such a diverse group of students daily changed my perspective on life greatly. I applaud non-traditional students who come back to school to follow their dreams. Yes, I have worked during every semester of college but I look up to those who make great sacrifices for their education. The truth is, life is what you make it. The main message to take away is to always make the best out of whatever situation you’re in. Sure, I could have accepted my “fate” and slumped into classes barely getting by. Of course, I felt a pang of sadness watching my friends move into their freshman dorms and join sororities. Without a doubt, my journey isn’t the typical “four year college experience”. When in reality, I avoided student loan debt and met some of the most brilliant people I know to date. Through TCC, I earned a scholarship to study abroad in Salzburg, Austria with the Salzburg Global Seminar in summer 2015. This is an opportunity that earns its own blog post and will be coming soon. I am proud to have graduated with my Associates Degree from Tarrant County College in May 2015. Everyones journey is different and I am appreciative of the battles I faced because it’s what makes me stronger today. If anyone has questions about community college or has had a similar experience, please reach out! I would love to hear your story. There are 43 days until graduation. I never thought this time would come. I find myself a little more emotional than usual during this last semester of college. Knowing that I am experiencing a lot of “lasts” is both sad and exciting. Tarrant County College is where my college journey began. I served as President and Vice President of Student Government Association. Although I did not attend TCC by choice it was the best thing that could’ve happened to me. No, I did not attend community college because of a lack in determination or grades. Unfortunately, community college students face so many negative stigmas. So many, that a separate blog post will be posted soon addressing it. Next, I transferred to the University of North Texas for 2 ½ years to earn my Bachelors in journalism with a concentration in Public Relations and a minor in Psychology. Obtaining my degree has been a long winding road for me full of potholes I managed to swerve around. Like most students I was never just a college student. But a leader of student organizations who worked jobs, held internships, volunteered and was heavily involved on campus. I am trying to enjoy all of these “lasts”. I am going to miss all of my sisters in North Texas Sweethearts and the fun memories I have made with them. Public Relations Student Society has provided so many networking and travel opportunities for me. I am going to miss all of my PRSSA peeps so much! 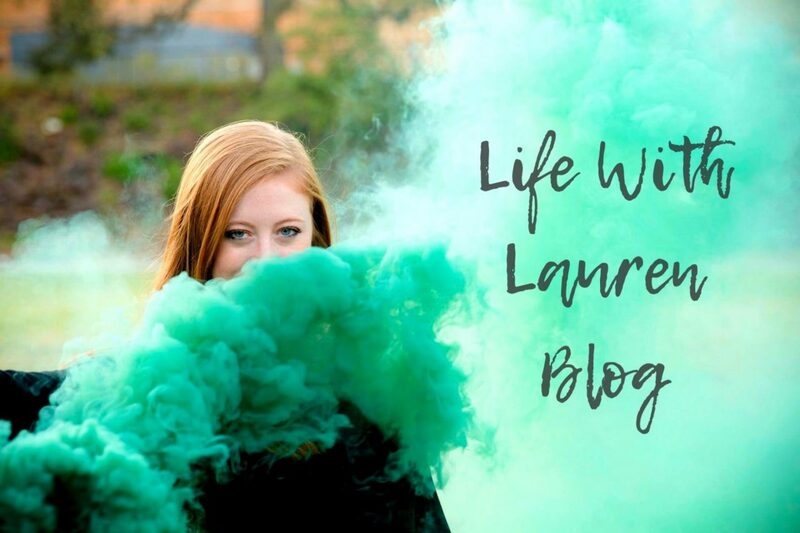 Her Campus has been a great community of strong females and a chance for me to blog before starting my own. I may have not had much free time in college, but all of the student organizations I have been in have been worth it. Then again, I am excited for the next chapter of my life! It will be so nice to finally earn a decent paycheck. As well as, living in a nice apartment in the city (versus student living). This is also the last semester of Chase and I being long distance. I cannot wait to finally be in the same city again. If I were asked to give advice to a freshman entering college I would tell them “be involved on campus as much as possible, try new things, take your studies seriously and enjoy it all because it truly is over before you know it.” I don’t have any regrets about the choices I made during my college career and I am excited about what post-grad life is going to bring!